Enrolment is now closed for the new term of JBFC Football Coaching in Colchester, which begins on 14 April 2018. 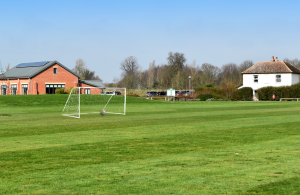 JBFC was launched five years ago to run kids football coaching in Colchester and the surrounding around for boys and girls from the age of four and up. And, for a limited time, enrolment was open to new recruits to join our Saturday morning sessions in Great Horkesley, situated on the Essex and Suffolk border near Colchester. The new term will commence on 14 April and for 12 weeks through until 14 July. Newcomers will always get a chance to try their first session for free before they commit to the full term, which will cost just £50. JBFC Football Coaching in Colchester is focused on giving children their first taste of football in a fun, friendly and pressure-free environment, and as we celebrate our fifth anniversary we are proud that more than 150 children have been registered with us, with some having been with JBFC since our very first term, and now competing in league football for numerous teams around Colchester, including our very own JBFC Development team. So, if JBFC Football Coaching in Colchester sounds the right place for your child to learn about the beautiful game, you can register with us using the form below. Spring/Summer Term at Jubilee Field, Great Horkesley, near Colchester. JBFC also runs girls only coaching sessions, 1-2-1 personal football training, school holiday football camps and kids football parties – contact us for more details. This entry was posted in Uncategorised and tagged Boxted, Bures, children, classes, coach, coaching, Colchester, development, essex, football, football coaching in colchester, Fordham, fun, great Horkesley, Highwoods, jbfc, kids, Langham, Leavenheath, Mile End, Myland, Nayland, sessions, skills, St Johns, Stoke by Nayland, Sudbury., suffolk, West Bergholt, Wormingford. Bookmark the permalink.